MORE than one in ten of the clinical negligence cases settled in Northern Ireland between December 2011 and March 2012 contained confidentiality agreements, despite an assurance from the Department of Health over a decade ago that they would no longer be included in settlements. In a 2002 report by the Northern Ireland Audit Office (NIAO), the Department of Health Social Services and Public Safety (DHSSPSNI) outlined its intention to take “immediate action” to ensure that confidentiality clauses were not included in settlements. The department also acknowledged the “inappropriateness” of confidentiality clauses. Written correspondence seen by The Detail from the previous and current permanent secretaries also documents their commitment to ensuring that such agreements are not used in negotiated settlements. However, in response to a Freedom of Information request from The Detail, the Business Service Organisation (BSO), who oversee the department’s legal cases, inspected 70 clinical negligence files relating to settlements from December 2011 to March 2012. There were confidentiality agreements relating to the terms of the settlement in nine of the 70 files. The revelation comes as new figures also obtained by The Detail from the Directorate of Legal Services (DLS), which manages all health and social services’ cases, show that the costs associated with clinical negligence cases here have doubled over the last eight years and the average case is still taking at least four and a half years to settle. Today we examine one case featuring a confidentiality clause that has only come to light in the wake of the high profile Inquiry into Hyponatremia related deaths. We also speak to Stephen Murtagh from Lisburn who lost his wife during routine surgery and despite successfully pursuing a clinical negligence case against the Belfast trust, says he is still fighting for the truth 10 years on. Patients or their family can take a clinical negligence case against medical staff or a health trust to seek compensation in relation to their treatment. The Audit Office report from 2002 found that compensation settlements between 1993 and 2001 in cases of clinical negligence amounted to £50m in Northern Ireland alone. During an Assembly debate in 2010 MLAs concluded that this was unacceptable and outlined their concerns about how the Department of Health was managing the process. We can now reveal that over the past eight years the cost has almost doubled with over £100m paid out in cases of clinical negligence since 2003 and a further £14m has been spent on staff hours, legal counsel and fees paid to medical experts. Damages were paid in 1,072 cases between May 2003 and December 2011. While financial settlements accounted for the highest proportion of cost since 2003, fees to counsel and medical/independent experts amounted to over £12m. Almost 60,000 hours spent by DLS staff preparing a defence in clinical negligence cases since 2003 racked up an estimated additional £1m in staffing costs. For a full breakdown of graphs and tables associated with the cost of clinical negligence cases please click here. In our Freedom of Information (FOI) request we asked the Business Service Organisation (BSO), which runs DLS, to clarify which cases were subjected to a confidentiality order covering either the sum involved or any other non-financial matter. Initially it said it was unable to provide this information because the cost and time spent on complying with the request would exceed the appropriate limit. When we asked for the maximum amount of information it could provide us with, it responded with information on 70 clinical negligence files, relating to settlements from December 2011 to March 2012. There were confidentiality agreements relating to the terms of the settlement in nine of the 70 files. In the 2002 NIAO report it states: “We consider the use of such clauses questionable. In a letter obtained by The Detail from June 2003 written by the former Permanent Secretary for Northern Ireland, Clive Gowdy, responding to a query from a postgraduate law researcher, he states his support for openness in clinical negligence settlements. In a further letter from the current Permanent Secretary, Dr Andrew McCormick, written in October 2005 to the same law researcher he states: "I can confirm that this department acts on the basis that a system of openness and transparency should underpin public accountability in the use of public funds. We asked the department for an update on their current stance on confidentiality clauses. In a statement it said: "This department acts on the basis that a system of openness and transparency should underpin public accountability in the use of public funds. It is the department’s view that confidentiality clauses should not be used in cases of negotiated settlements, other than the most exceptional circumstances. In a follow up Freedom of Information request we asked for further clarification on the nine cases – identified between December 2011 and March 2012 – which contained confidentiality agreements. We asked for details on which party made the request for the clause in each case. However, the BSO claimed this would require a “significant amount of time to complete” and would mean that the appropriate FOI limit of 18 hours would be exceeded. The ongoing Inquiry into Hyponatraemia-Related Deaths provides a rare insight into the world of confidentiality clauses, in a case that dates back to the mid 1990s. 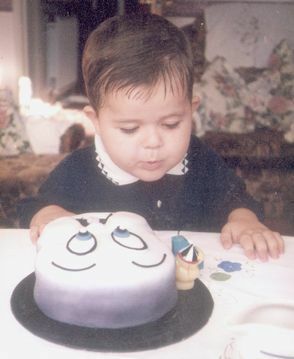 Four-year-old Adam Strain died during a kidney transplant at the Royal Belfast Hospital in November 1995. His death and the deaths of four other children are being investigated by the inquiry team. On the opening day of the inquiry in February 2012, the legal team for Adam’s mother, Debra Slevin, read out a statement outlining her frustration around the fact that the trust had required her to settle the proceedings against them not only “without any admission of liability” but also on the basis that “the terms of settlement shall remain confidential." The agreement detailed that neither party could disclose details to any third party concerning the settlement and in particular that Mrs Slevin would not publish or provide information in relation to the matter to representatives of newspapers, television, journals or any other publicity media. In the statement she said: "Part of me is hoping that I will be able to ascertain just why this confidentiality clause was required. Are we not supposed to be part of an open society? “If clinicians or other staff have made mistakes, then does the public not have a right to know? I feel some despair that it has taken both a political and media campaign to bring these matters out into the open. “Why is there such a culture of secrecy in hospitals? Where does it originate? Does openness not encourage better practice? I hope that some of these questions will be answered. It is only in the context of this inquiry that Mrs Slevin was permitted to air her true thoughts and feelings for the first time. In May of this year, 15 years after the clause was first signed, DLS conceded and decided to withdraw the confidentiality agreement. 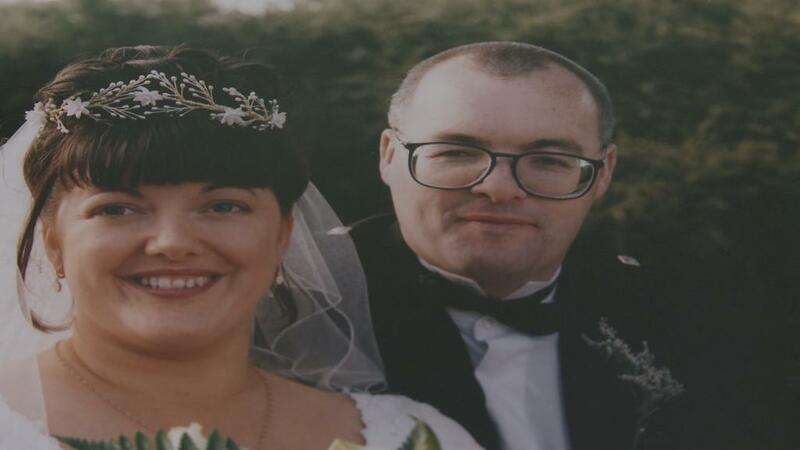 Stephen Murtagh’s 31-year-old wife Janine died in November 2002 in the Royal Victoria Hospital six weeks after what was meant to be a routine procedure to investigate fertility problems. Janine, a nurse, deteriorated after her initial surgery but it was hours later before it was decided that further surgery was required and this procedure was then delayed because an operating theatre was in use. Stephen successfully pursued a medical negligence case against the hospital, but he says while it’s not something that he would like to go through again, he felt it was the only option that was left open to him at the time. He said: "Following Janine’s death I had no intention of taking a case against the hospital, but after her inquest in 2004 I didn’t feel the full facts were addressed. The only option left to try and get any shred of truth was to go down the medical negligence route. “Money means nothing. People think from the outside looking in that it will be some sort of comfort but how do you compensate the loss of a loved one? Is the loss of the most important thing in my life equal to a cheque? “Your conscience is being pulled in every direction. Janine died and she was everything to me and her family. How do you quantify that? Stephen believes the figures uncovered by The Detail are evidence that lessons are not being learned and that a culture of secrecy and protection of a “health trust brand” is still paramount when it comes to the loss of someone’s life and the lives of their loved ones. He said: "I can’t understand how in this day and age with the modern hospitals we have, that negligence settlements are on the rise. That in itself is a worrying development. “If the system was working, the trusts and the department should be learning from their past mistakes, so the amount of money paid out overall in clinical negligence cases should be decreasing. “In my experience they don’t care about the human cost. Throwing money at these cases will not make the problem go away and it certainly won’t make things better. In a previous story by The Detail, we reported how Stephen had a meeting with the Health Minister, Edwin Poots, to explore the possibility of re-examining the findings of the inquest into Janine’s death. The Health Minister has since responded to Stephen informing him that it was his view that the findings of the inquest were adequate. Stephen says he won’t give up. “I’m not going to lie, it’s a hard one to swallow and I can’t accept it. The Minister has asked me for more evidence and I’ve respectfully told him that the evidence is in a cemetery of a 31-year-old woman who died at the hands of the Royal Hospital. The Audit Office plans to publish a report on Tuesday (October 23) on the safety of services provided by the health and social care trusts. While the report will focus on the wider issues of reporting adverse incidents and learning from them, The Detail understands it will include an update on the adequacy of arrangements for settling negligence cases. The report will be discussed at Stormont’s Public Accounts Committee on November 14 2012.